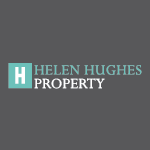 Helen is an experienced and widely-respected property agent with a thorough understanding of the Central Coast property market, where she has lived and worked for 30 years with clients helping them acquire, sell and manage all types of properties. Helen launched her own property business Helen Hughes Property and has now expanded by starting Mi Property group to be able to cover a larger part of the Central Coast Market with a team of experienced people. Helen is making it her business to embrace change, continue to learn, setting high expectations for herself and her team with one goal in mind: to exceed client expectations. Property Negotiations. Property Management. Strata Management.